Religion in itself is a social benefit, and therefore religious organizations deserve to maintain their tax-exempt status. Religious people view their temples as something more sacred than the government. To tax money donated to the centre of these people's communities would put unnecessary strain on the most important pillar for some communities. For example, Christians see their contribution as a voluntary tax given to the governing body of their group; the church. That way the church can help the community personally instead of administratively. Churches are presently classified as non-profits for exactly this reason. Unless we want to tax all non-profits, we can’t tax churches. Religions that do not provide any social benefit (that function as tax shelters) should have their tax exemption removed specifically because they are not actually religions. Real religions do not deserve to be punished for the abuses of the few. Religion usually enforces positive moral codes that make citizens more likely to follow the law and do good unto others. Religious institutions provide cultural benefits — moral guidance, connection with heritage, community involvement. These things are directly tied to the religious aspect of the institution, but in a larger sense they are not dissimilar from other non-exempt cultural institutions such as museums, historical societies, etc. 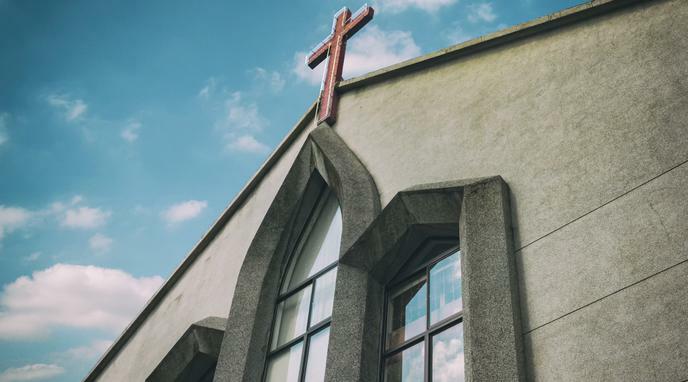 Houses of worship typically share a lot in common with other charities, providing a place to gather for the community like tax exempt clubs and often also running charitable benefits for the needy. Tax revenue raised from churches would be distributed widely for essential services into the wider community, but done so with a full democratic mandate. Religion may have some benefits, but it is dishonest to pretend that its impact is entirely positive. Religion is a spiritual good that private individuals consume. Even if those individuals benefit from that consumption, this does not make religion a "social good," in the same way that other private goods are not social goods. Religion at large is detrimental to human progress. It perpetuates ignorance, non-reason, and perhaps worst of all overpopulation. Subsidizing it is therefore contrary to humanity's long-term survival and prosperity. Any organization or individual could argue they benefit society; this would be weak grounds for tax-exemption. Faith can be practiced in smaller communities or in larger groups living off donations. It is true that some religious groups do charitable work but we should rather support charitable groups with tax exemption than churches. The characteristic of a social benefit does not in itself provide a rationale for exemption from tax. Any service that people are prepared to pay for provides a social benefit by definition. Religion is unremarkable in this respect. Religions do not provide a clear benefit to those who do not follow their teachings. It is inappropriate for a religious organisation to expect those who do not support its message to support it financially via a tax exempt status. Religion is too broad of a term to stake a claim that it is a social benefit. There are entirely too many different beliefs that people would consider a detriment to society. You could make this claim about a singular church with economical, sociological, and psychological proof to their community, but arguing religion as a whole has too many conflicting variables. tribalism through the depiction of evil in the world which creates in and out groups. Iron Age, a time of rampant superstition, ignorance, inequality, racism, misogyny, and violence.